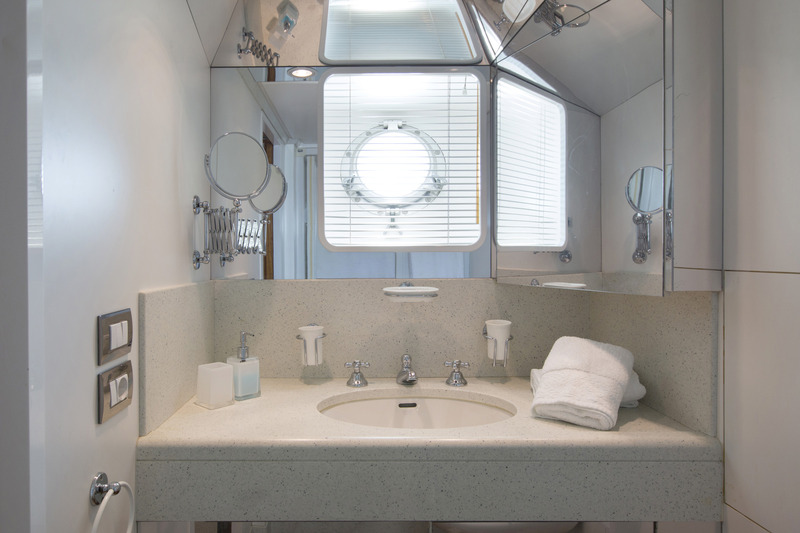 Stepping inside the yacht invites guests into a spacious light and airy ambience. 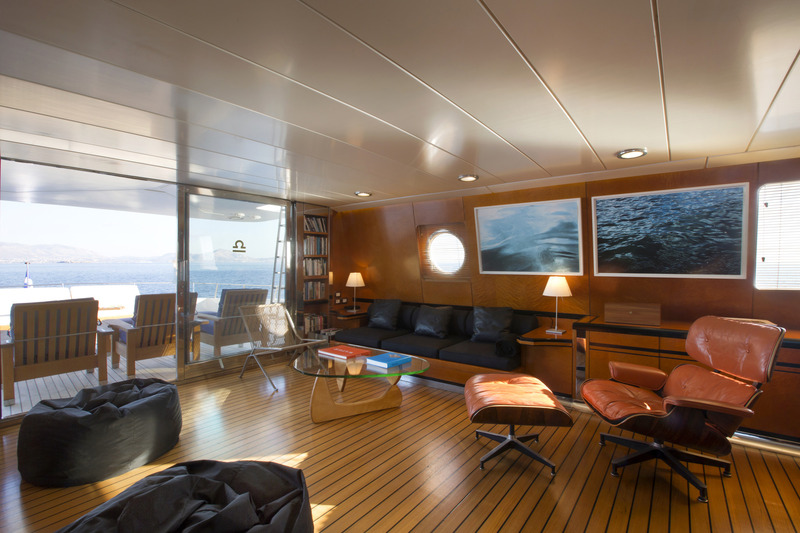 On the main deck is a large salon lounge, featuring relaxing sofas, occasional chairs, ottomans and coffee tables. 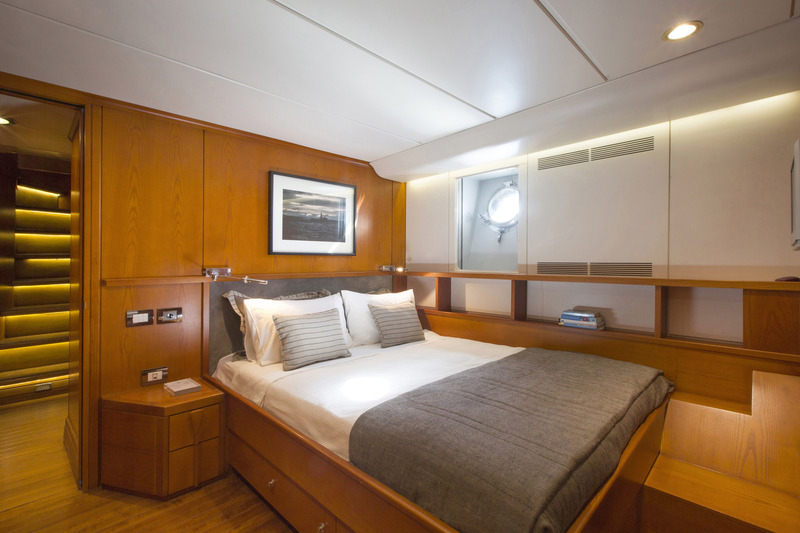 Further forward is a day head, followed by the full beam master stateroom. 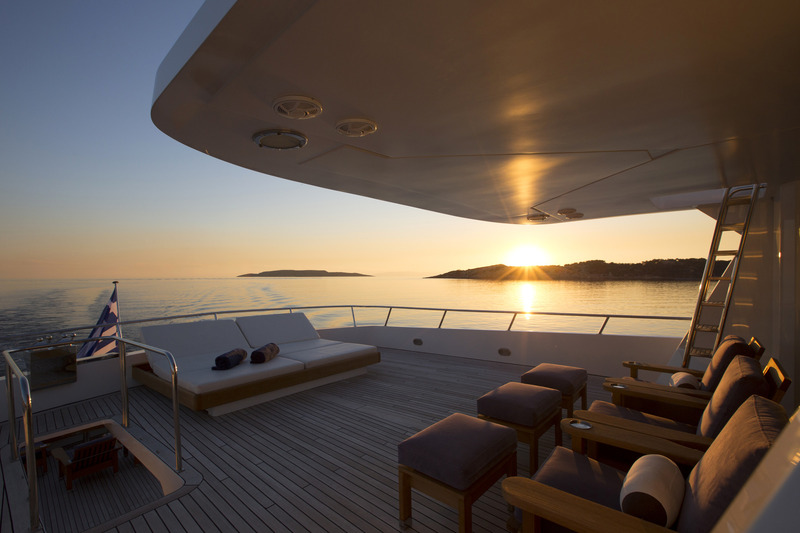 There is an upper sky lounge with seating, tables and a day head. 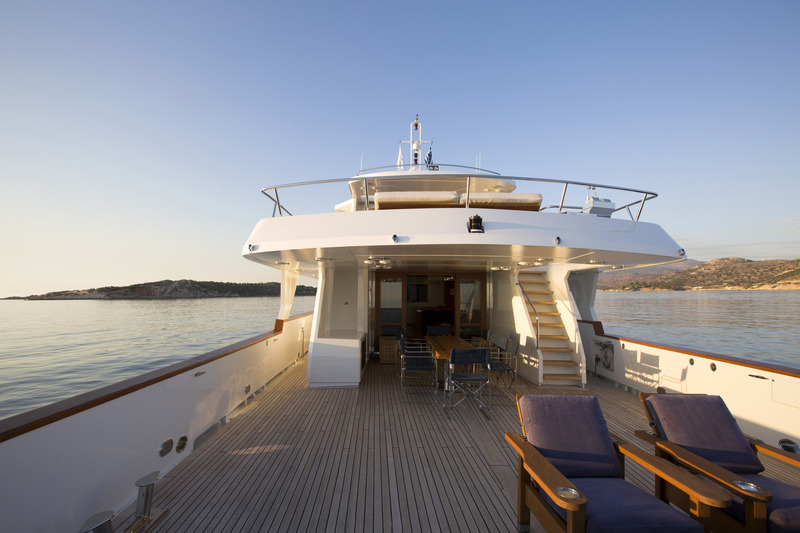 Both the salon and the upper lounge have direct access to the exterior decks, making them each ideal for entertaining and socializing. 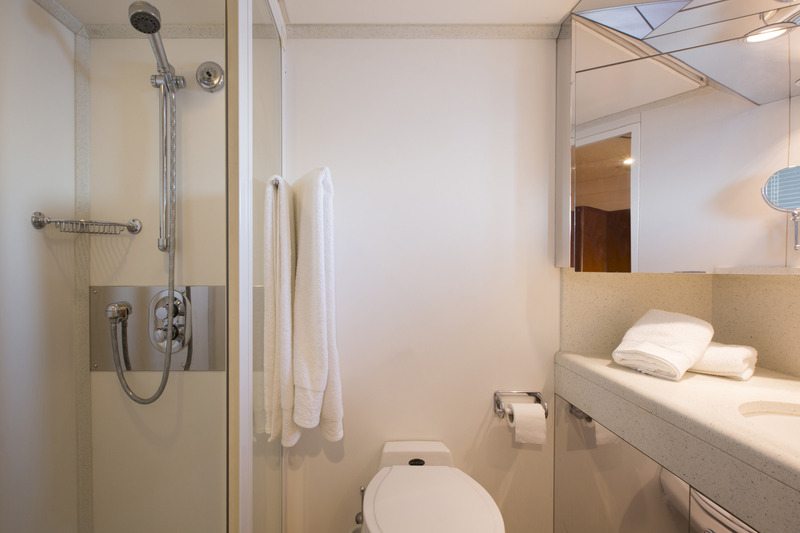 On the lower deck are an additional 4 guest cabins, all of which boast private en-suite facilities. 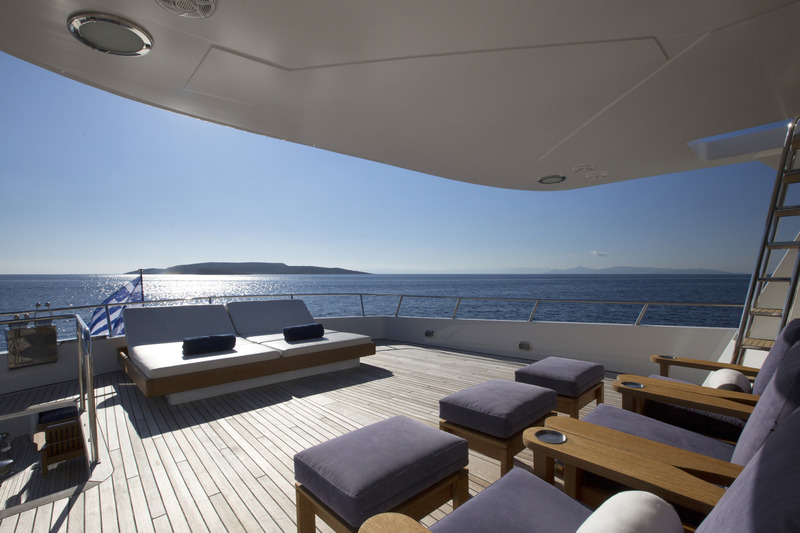 There are plenty of exterior deck areas to enjoy. 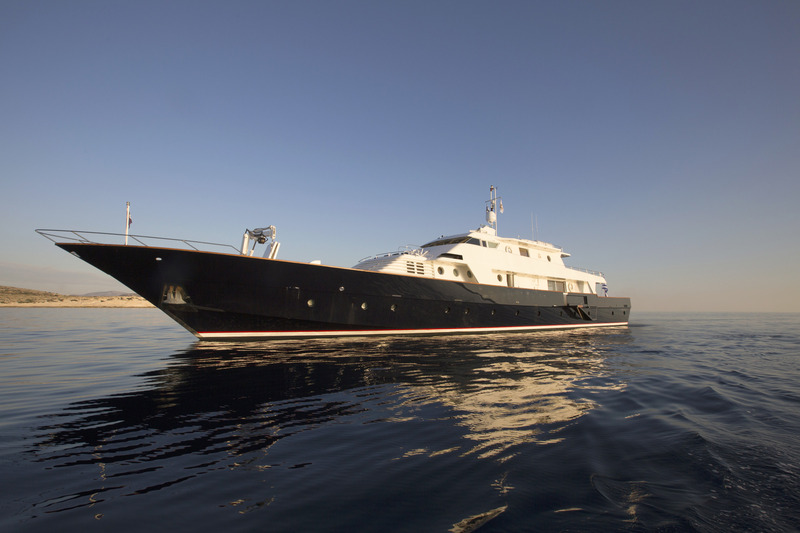 The main deck wraps around the yacht and provides direct access to foredeck. 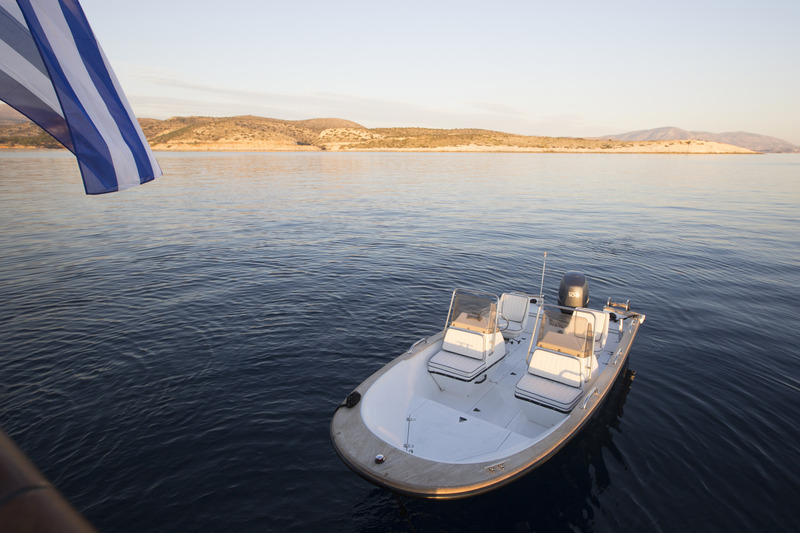 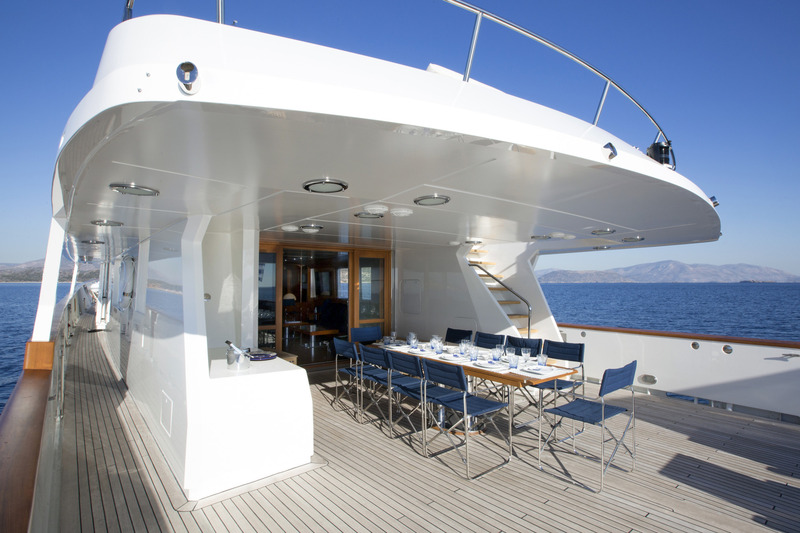 On the aft section is an alfresco dining table with seating for 10 and a comfortable exterior lounge. 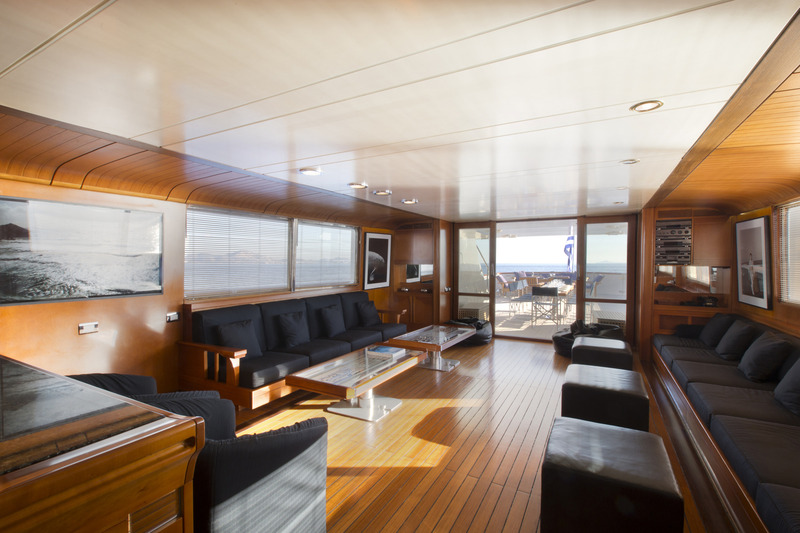 Partial shade is available from the upper deck’s overhang. 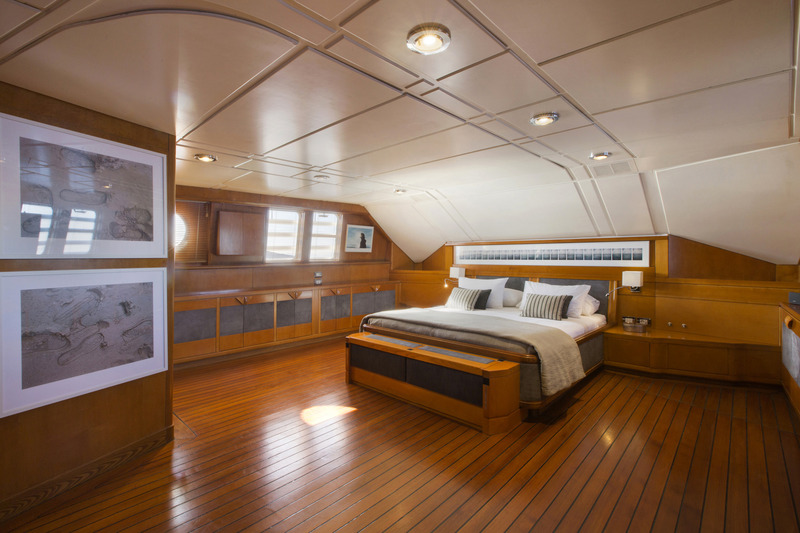 Forward on the main deck is a raised sunpad space. 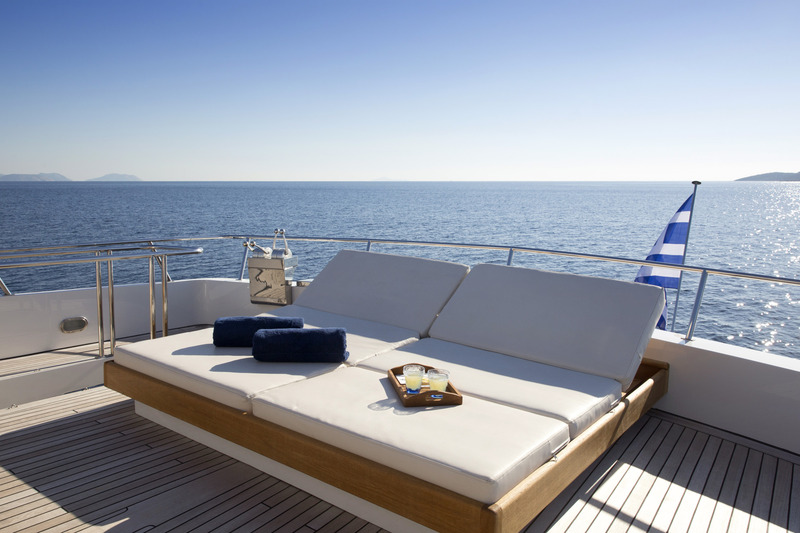 Adjacent to the skylounge is a sundeck, offering seating, sunpads and partial shade. 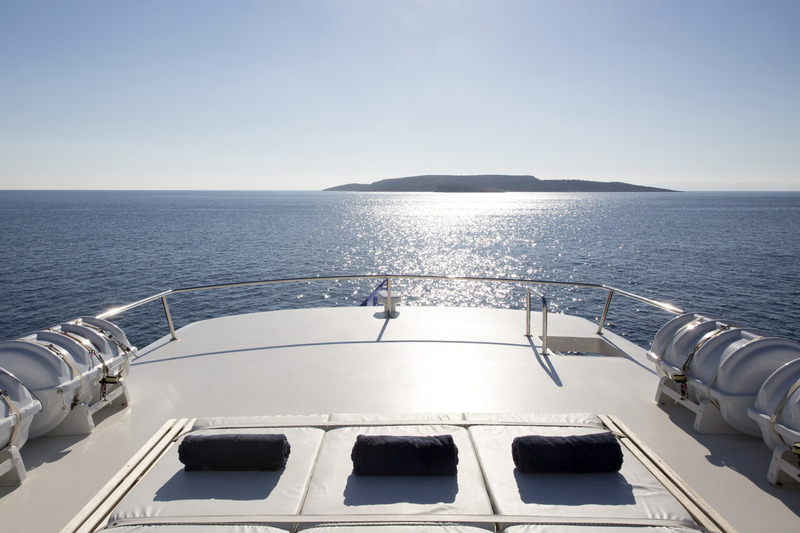 The top deck is a sunlovers paradise, featuring a private sunning area with generous sunpads. 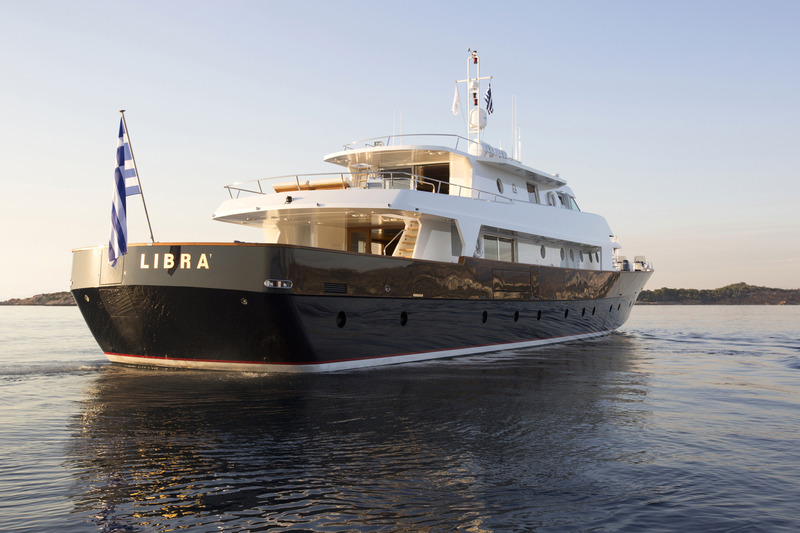 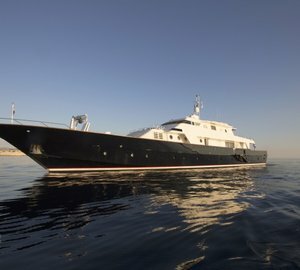 LIBRA Y is fitted with dual MTU 1,650hp engines, she has cruising speeds of 15 knots and top speeds of 16,5 knots. 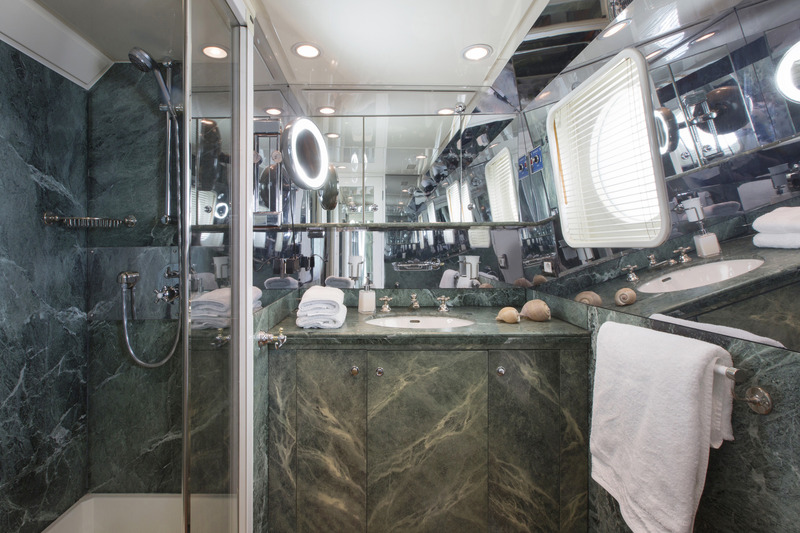 Guest accommodation is in 5 well-appointed and spacious ensuite cabins. 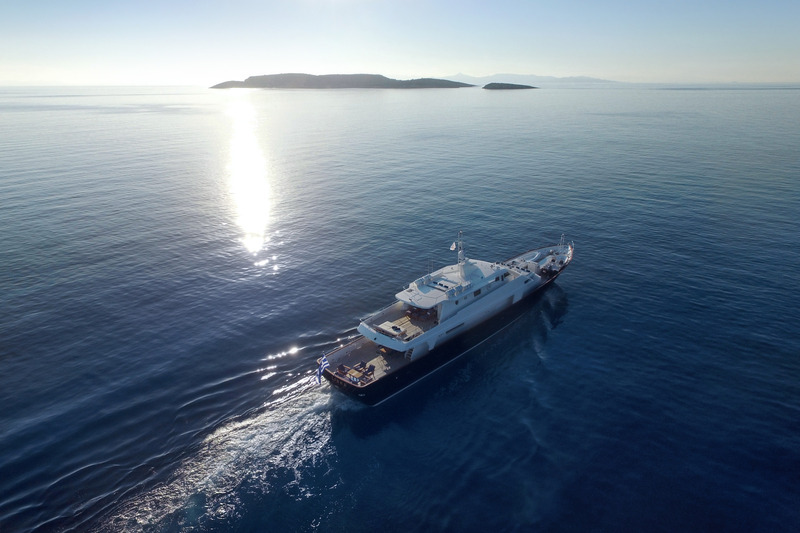 The master is on the main deck forward of the salon, with a full beam layout and large marble ensuite. 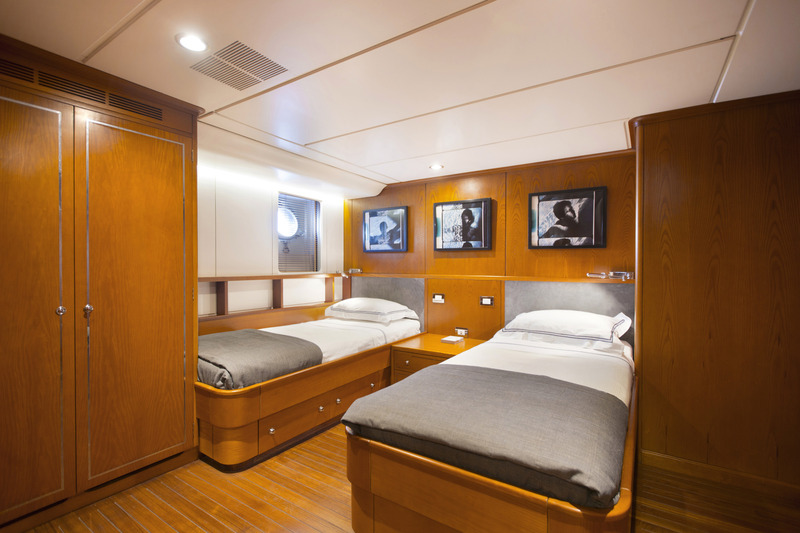 Below decks are 2 double cabins, 1 twin cabin and 1 bunk cabin.